The Dream Team machine rolls on, and takes no prisoners. Whether you had rookie issues, poor Premiums or terrible trades in this week, we always have another opportunity to make us of what we learned in Round 4! 1. Keep Calm and Lock Swan. The fantasy pig showed we have nothing to fear when we back him in with the ‘C’, even if it takes a while to get him oinking. His 119-point average is only second to Stanton (124 avg) out of the midfielders we would have considered Premiums before Round 1. 3. Ablett is still better than most AFL footballers with one arm tied behind his back. 4. Brendon Goddard has feelings. 5. It’s a great feeling when you keep the faith and are rewarded. 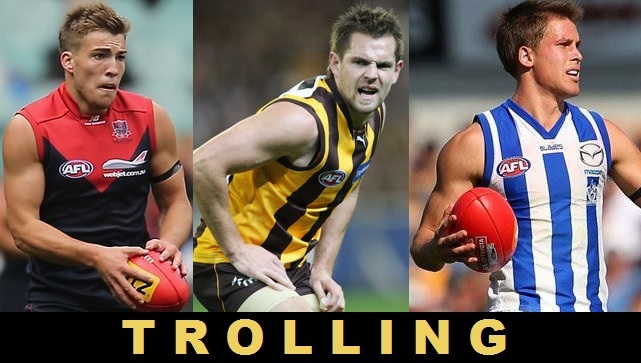 Personally, I was close to ‘fixing up’ Dangerfield and Scooter prior to Round 3, but they’ve responded since I kept the faith – particularly Selwood, who’s notched scores of 147 and 127 in the last fortnight. Generally speaking, it was another fantastic week for our midfield rookies. Wines continued his fantasy dominance with 101 DT points and finds himself an incredible $159k dearer than he was a fortnight ago! Not far behind was mature-age Demon Matt Jones with 92, which gives him a BE of -47 thanks to a solid 86 last weekend still in his rolling average. Crouch joined that party with 88 points of his own, as did the highly-touted Lachie Whitfield with 86. The biggest winner of them all was Brett Goodes however, making up for a lacklustre effort last week with a stat-stuffed 115 points in Round 4; he’s shaping up to be a keeper at this rate, scoring 82 or more in three of his four outings. With Suckling out for the season, I always assumed Birchall would have less freedom as a result. I couldn’t have been more wrong. He’s been the prime mover out of defence for the Hawks thus far, averaging over 31 touches and almost 120 DT points per match. Hawthorn’s run only gets easier coming into the MBRs, so getting Birch should prove increasingly difficult the longer you leave it. Most of the adjectives we’ve use to describe Stanton in the fantasy world traditionally haven’t been very flattering, but how’s this for one I never thought I’d say: consistent. As counter-intuitive and bizarre as that sounds, Stanton is one of the few players to have topped the ton every week so far (Cornes, Westhoff, Birchall, Swan and Boak are the others), and he’s done this despite being tagged ahead of reigning Brownlow Medallist Watson in the last fortnight. This ability to break free is a massive improvement in his game from last season, with his torrid start to the year halted instantly once he started attracting the hard tag. Stanton now has to be considered one of the more reliable upgrade targets in the midfield. Honourable Mentions: D. Thomas (35), Mayes (75), Ja. Roughead (112), Cloke (147), K. Cornes (156), Swan (130), Burgoyne (113), LeCras (103), Yarran (92), S. Selwood (127). The worst thing a rookie can do is put in a shocker right in the middle of their crucial cash generation cycle. By all means, get subbed for 50 points. Even have a week off with ‘The General’ – we expect that crap from our rookies. What we can’t accept is scores like the 18 points that Viney posted in Round 4; scores that put a huge dent in the money-making ability (BE of 29 this week)of one of our more promising rookies. Let’s not forget that most coaches would have had Viney on their field this week vs GWS, so that’s roughly 70-80 that you lose by playing him over Jones or Crouch as well. Luke Hodge was one of the most traded-in players last week, as a $399k price-tag and a BE of 1 had him looking extremely tasty. The idea was that he would either 1. Come back to earth with 70-100 point scores, functioning as a ladder to a fallen Super-Premium like Ablett in a few weeks, or 2. Continue to produce at an elite level and become a Keeper. Unfortunately, Hodge peeked behind door three, which was the have-a-shocker-and-ruin-all-cash-generation-ability course of action. As a result, he’ll only jump up another $20k or so (and that’s being generous) this week, before being grounded by that 51-point score. This is just another example of the third week’s score being the most influential in any money-maker’s fortunes. After a huge start to the season, Swallow inexplicably threw on the breaks with a disappointing 18-touch effort against the Lions. I assumed he’d earn the Raines tag, but that went to Wells and yet Spitter still struggled. This is a perfect example of why Swallow has failed to breach that Super-Premium status in the past – he’s prone to dishing up a 60-point score on any given day. Dishonourable Mentions: Suban (13), Parker (41), Bartel (66), JPK (59), Hanley (62), O’Keefe (71), Pendlebury (86), D. Martin (58). Every year, there’s a bunch of players who just come from nowhere. Contrary to convention, these surprise-packets show little or no signs that they’ll burst out of the blocks, shocking even the most dedicated fantasy coaches. If you started with any of the guys in the table below, you’re either a fortune teller, a die-hard Port fan, or you just got plain lucky with the auto-fill function. There are some incredible break-out performances in that list. The Port trio of Cornes, Westhoff and Boak lead the pack with incredible improvements on their 2012 output, although it has to be noted that their start to this season has been the softest of any side so far (Melb, GWS, Adel, Gold Coast).It’ll be interesting to see whether they can keep this up, particularly Kornes, who is averaging 24.5 uncontested possessions a game – the most in the league. One player who I find particularly interesting is Mathew Stokes. For some reason he was the sub in Round 2, yet he still managed to accumulate 60 points in a quarter and a bit. When you remove that game, we see that he’s averaged 110 in his three non-subbed games; Westhoff is the only forward to average more. This form culminated in him being named as the ‘rover’ in Thursday’s team sheets, and that’s exactly where he played. So, is Stokes the real deal? Well, he is averaging 30 disposals and a goal in those three full matches – I think he could be. It’s an awkward time in Dream Team at the moment, stuck in the twilight zone between late fix-it trades and our first upgrades. Many coaches have a bit of cash in the bank from jumping on bolters and missed rookies in the past few weeks, and it’s time to start thinking about investing that capital. But who to bring in? And at the expense of which rookies? Is it possible to bring in another two rookies and therefore leave all that cash sitting in bank for another week? A week ago, I’d have said that Mayes would be a definite inclusion into my squad if he scored 75 in Round 4. As it stands, it’s not so black and white; thanks largely to a huge performance from an under-the-radar rookie in Michael Evans (111). As I alluded to earlier, it might be excessive to engineer another two rookie grabs this week, because not only are you sacrificing points while you’re not upgrading, you’re also not utilising any money sitting on your bench. At base draftee price of $108,500 versus Mayes’ inflated price of $152,200. The 111-point score will stay in his price rotation for two weeks. Is a straight swap positionally for Jack Viney ($182,800, BE29), and is expected to make $160k in the next three weeks (compared to Viney’s $40k). Should have received a job security boost with his job-saving (for Neeld, of course) 3 final quarter goals on the weekend. Scored 112 in a game in 2011, so at least we know his 111 isn’t a complete fluke. Has looked very much best 21 in his first two matches, giving him some sort of JS. He hasn’t relied on goals to boost his scores so far, whereas Evans needed 3 snags to get to 111 points. Has Mid/Fwd DPP which could come in particularly handy – if you trade him in for Viney – for switches with Dwyer or Neade as required. Also, as a DPP, you can basically trade him in for anyone else in the Mid/Ruck/Fwd lines (assuming you have Rowe/Sinclair resting forward) if you want to keep Viney or don’t have him to begin with. Brisbane battle Melbourne this week, which could make his critical third score a belter and guarantee cash generation for the next month. One sub-plot of Round 5 is the Anzac Day match on Thursday, and therefore no reversible trades after this time. I repeat – we’ll be going old school with our trading this week, so wait for the Friday Cull before pulling any post-Bombers/Pies/Saints/Swans trades. Luckily, this shouldn’t affect our ability to bring in the popular targets likes Mayes, Evans, Birchall, or Ablett. 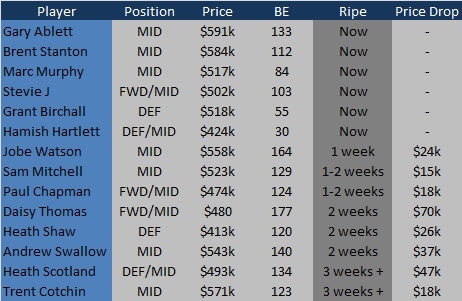 However, if you’re looking to cash in any of Dwyer/Macaffer/Rampe/Kommer , it will have to be done before the first lockout, adding an element of risk. The interesting thing is that Swanny will be playing in the ANZAC Day clash, meaning we can utilise the VC loophole with the partial lockout. But remember that you have to have a non-playing non-Bombers/Pies/Saints/Swans player to capitalise on it, and looking at my side, every player took to the field last week… Normally we’d rely on our R4 for this sort of task, and if you have Currie, you’re good to go. Daw owners would be a little more nervous however, especially if he’s not officially ruled out before Thursday Teams. Imagine locking in Swanny as VC, him busting out 160 against the Bombers, then realising that you have no one to loophole him with… That’s what FMDTs are made of. One look at the Break-evens shows that we have an alarmingly small group of Premiums ripe for the picking. Of course, players that I’ve mentioned in the Bolters section have tempting BE’s but none of those are the reliable Super-Premiums we’d be willing to back in over a whole season. We should be now looking to exclusively trade in either cash-making rookies or players who’ll be in the top players in their position by the end of year, and none of those players meet that criterion. From what I can see, basically Birchall (55BE), Hartlett (30BE) and Cloke (2BE) are the only players who have low BE’s that look like they could be Super-Premiums in their respective positions over a whole season. If you don’t like this trio, it could actually be worth doing two rookie trades (likely Mayes and Evans), then upgrading (or even double upgrading!) next week when all our Premos have fallen a little farther. Make sure you’re bringing in Premiums at their cheapest. I’m pretty happy with my rucks (Cox and Leuenberger) at the moment, so these are the guns I’m looking at for upgrades across the other areas of my ground. Of the players that will be ripe this week, I really like the look of Birchall, even though he’s $96k more expensive than Hartlett. Hamish is likely to have a tougher time against stronger sides, whereas the Hawks have had a contrastingly tougher run so far, so it can only get easier for Birch. Plus, Birchall has been simply incredible. After this week, Daisy Thomas is a high-priority addition. In two or three weeks, his price will be down around $400k, which he’ll obviously outperform when fit. Thank you Bucks and a vested 35 last week for that! Which fallen premiums are you looking at bringing in over the next month? What issues are your side facing in Round 5? Let us know in the comments! B Hill or J Viney for S Mayes. Stevenson for B Waters (traded out last week) or Birchall. Hill out for Mayes – break even is more than is scoring currently. 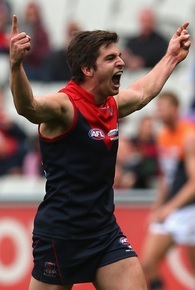 I think viney has the potential to reach his be. Birchall over waters for now. this should put me to above $300 k in the bank for upgrades in the coming weeks. 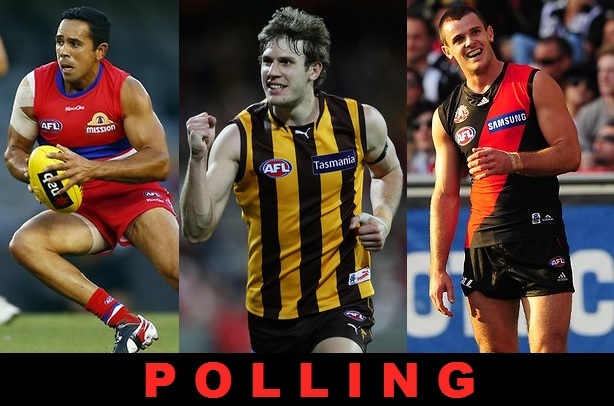 If the above trades occur need to pick two of to start o’meara, crouch, Evans and jones. how does the VC/C loop hole work, never done this before. Can we still do it this year? Put the VC on someone who is playing Thurs, (e.g. Swan). Put the C on someone who is NOT playing this weekend (AND is NOT in one of the teams playing on Thurs). e.g. Patton, K.Mitchell. Kommer won’t work because he plays for Essendon. Keep the C on Patton, have an emergency to cover for him. And since Patton isn’t playing, your VC’s score gets doubled instead. 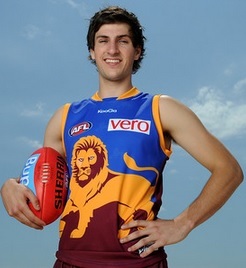 Take the C off Patton when partial lockout is over and chuck it on (say) Ablett or Rocky etc. This can only work if you have someone who isn’t playing on the weekend. I’m not bothering with it this time. I have Currie, but he has a small chance of playing this round. Besides, Swan is pretty much a sure thing to score 120+ this weekend. Easily my favourite read of the week. – keeping viney and JPK for another week? Vlastuin is tipped to play this weekend. This decision is killing me! Leaning towards 2 because I have the worst feeling that if I trade out JPK then he will absolutely punish me, but I wanted someone else’s opinion on the matter. I’d do option 2.. Same reason as you, JPK could bring you regret if he scores well. Option 2 will generate the same cash without having to trade out a premo so makes sense to me !! plus, you’ve already lost 27k on Kennedy, he’s a good player so he’ll bounce back and find a way to deal with tags and get some form back. beside’s, he couldn’t possibly drop much further from where he is unless he starts consistently scoring 60/70’s which won’t happen. 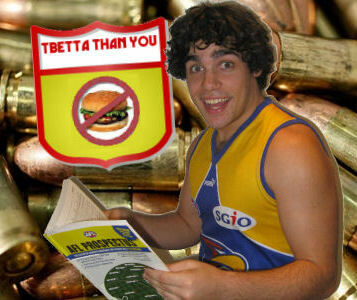 What do you think about trading Dusty Martin to Stevie J? Brought Mayes in last week and paid off. Still got my two trades for this week. Thoughts on 2nd or other suggestions?? Thanks! Pick who should be put on ground plz!!!! Also is there any truth to the ‘Crouch injured at training’ rumours?